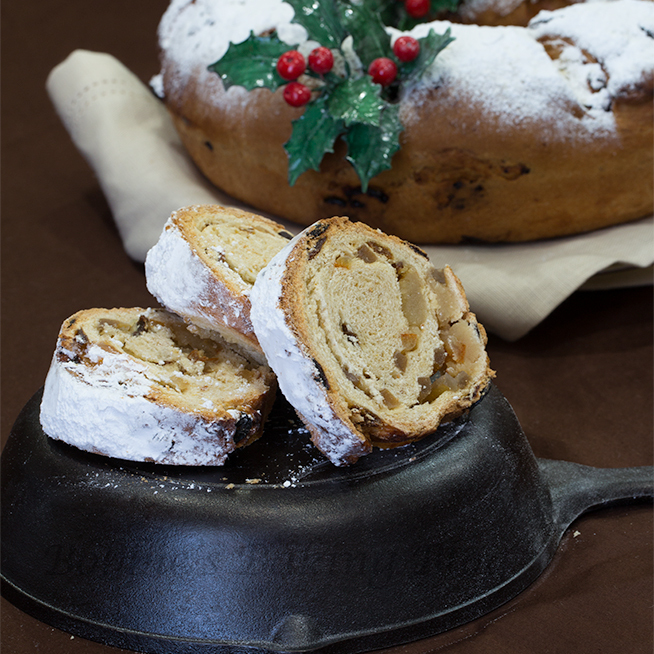 Every year at this time, for the past eighteen years, Sydney and I bake a Christmas Stollen. 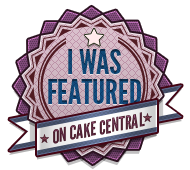 When Sydney was small, her job was to roll the almond paste (her favorite flavor) and pour all the ingredients, as she grew up so did her baking capabilities! This year as we were baking our Christmas Stollen I realized it would be the last time we would bake a Stollen together for at least six years; Sydney has been accepted to The George Washington University for the spring semester, she leaves the first week of January. Next year I will be baking most of the Christmas indulgences for her arrival. Two weeks ago this Friday, as I was checking in some supplies, Sydney came walking towards me, in tears. Before I could ask what was wrong she announced she had heard (via email) from George Washington University. A lump began to develop in the back of my throat, I was positive she would be accepted, at that moment she squealed the university had accepted her. Her tears were happy tears, she has been in love with Washington D.C. since her very first visit to our nation’s Capital. When we toured the campus back in March, she knew George Washington University was were she belonged; I could see the admiration in her eyes. So this year’s Stollen is dedicated to Sydney and all she accomplished and will continue to accomplish. 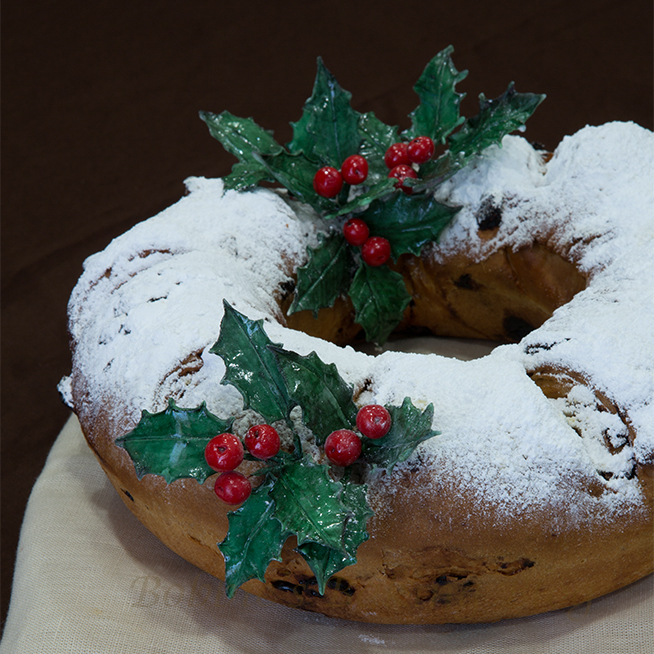 An edible wreath, who could ask for more? 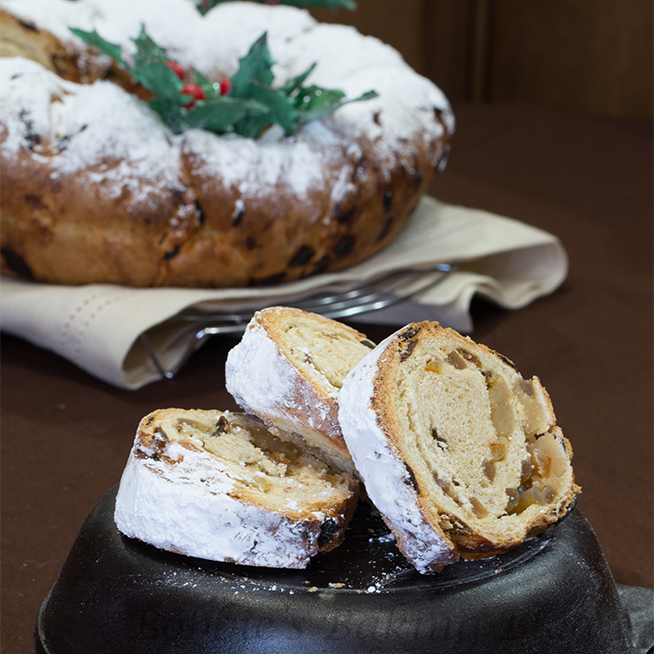 Baking Stollen as a family is a great project; there is a task for every age! 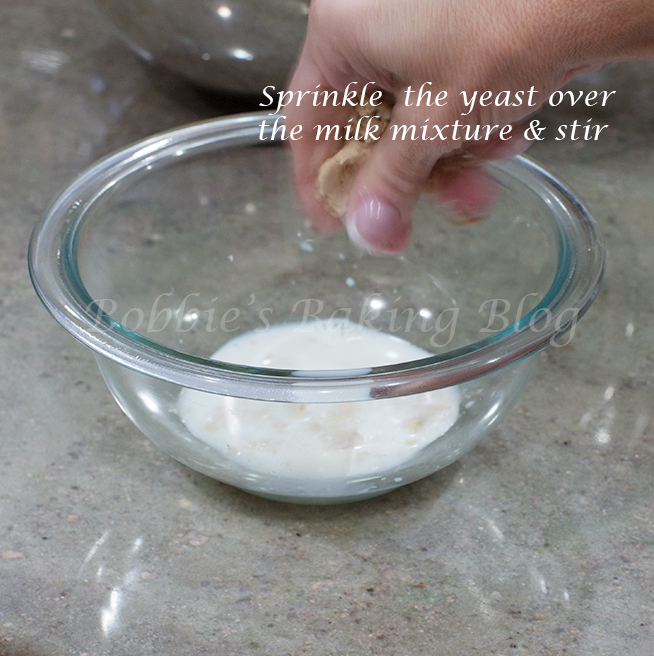 Prepare your dough bucket or bowl, spray with butter spray and set aside. 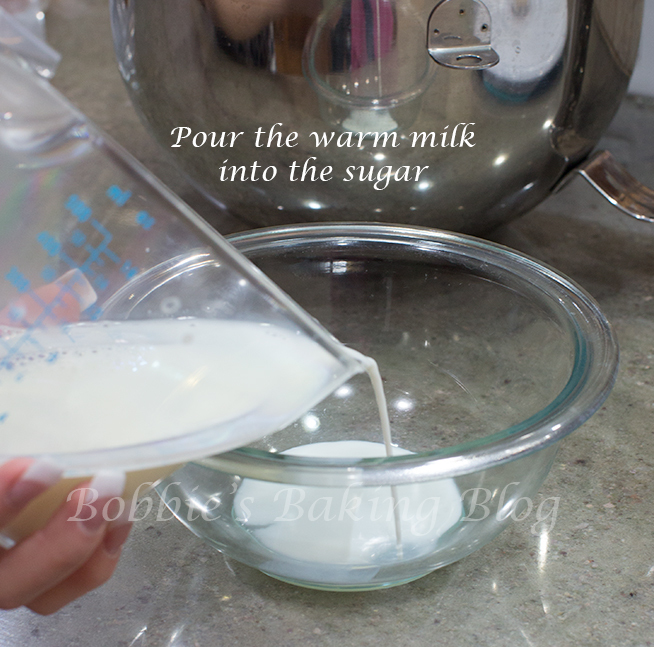 Pour milk over the sugar and sprinkle the yeast over the warm milk; stir with a rubber spatula. 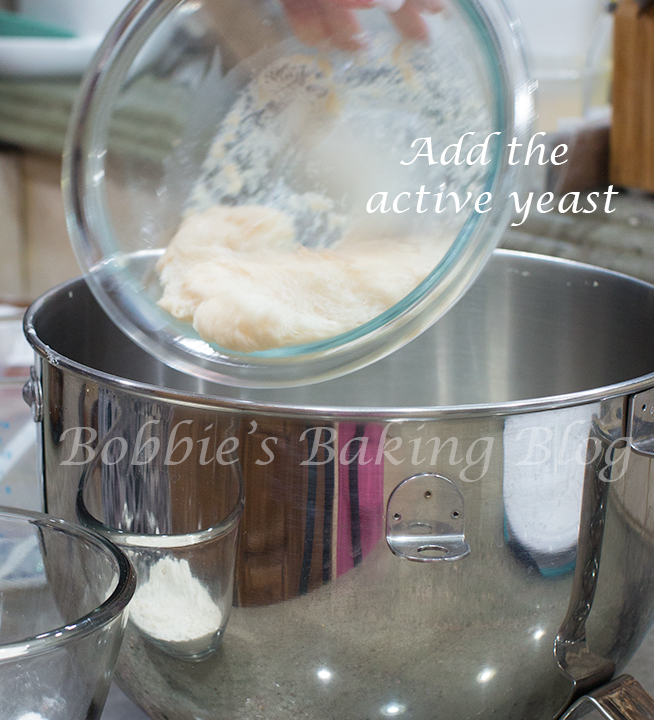 Allow the yeast starter to rest for 30 minutes, or until the yeast has become bubbly and doubled in size. 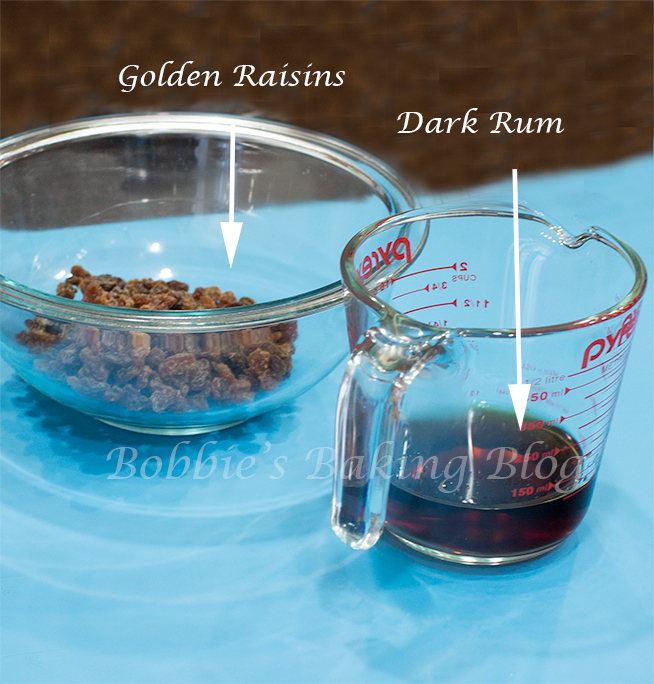 Pour the rum over the raisins and allow to soak and add the orange essence, while the sponge and dough are being prepared. 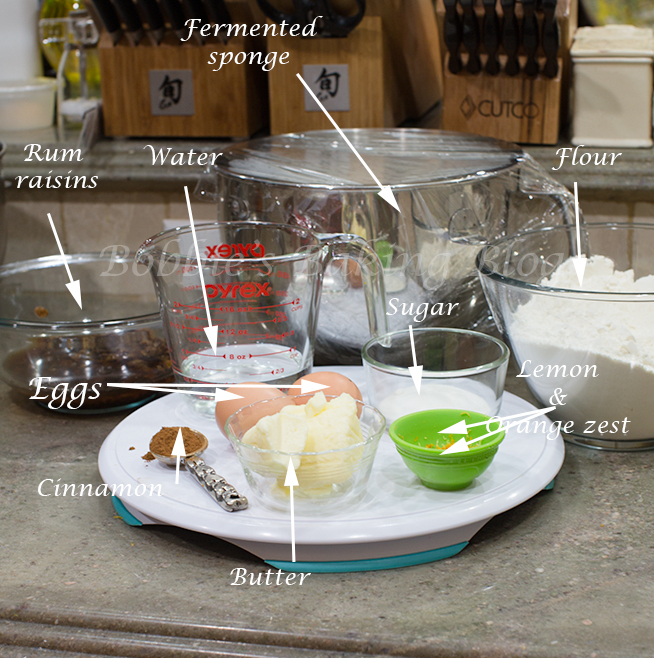 Prepare your mise en place for the sponge. 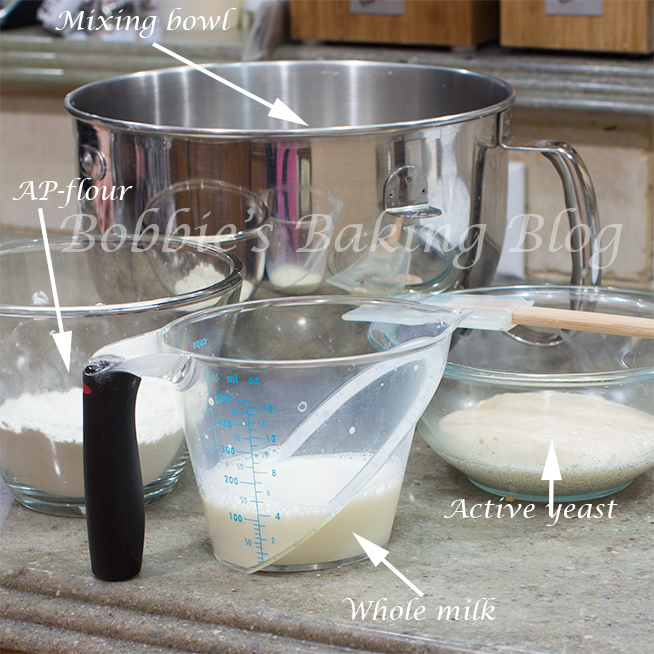 In a bowl add remaining milk, yeast starter, and 120 grams/ 1-cup of flour and whisk until combined. Cover with plastic wrap, and allow to rest for 60 minutes. Prepare mise en place for stollen dough. 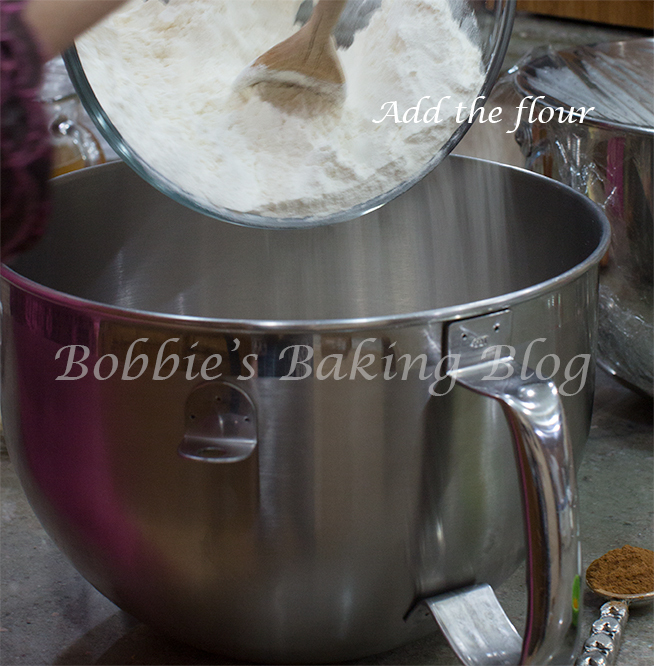 In the bowl of your standing mixer whisk together flour, sugar, salt, zests, and cinnamon. 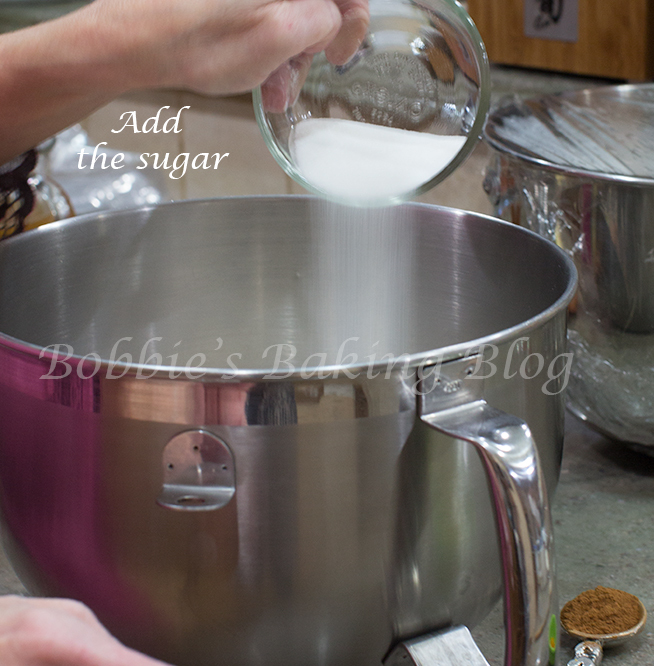 Attach your bowl to the standing mixer, on low with the paddle attachment mix the dry ingredients for about 45 seconds and keep the mixer on low. 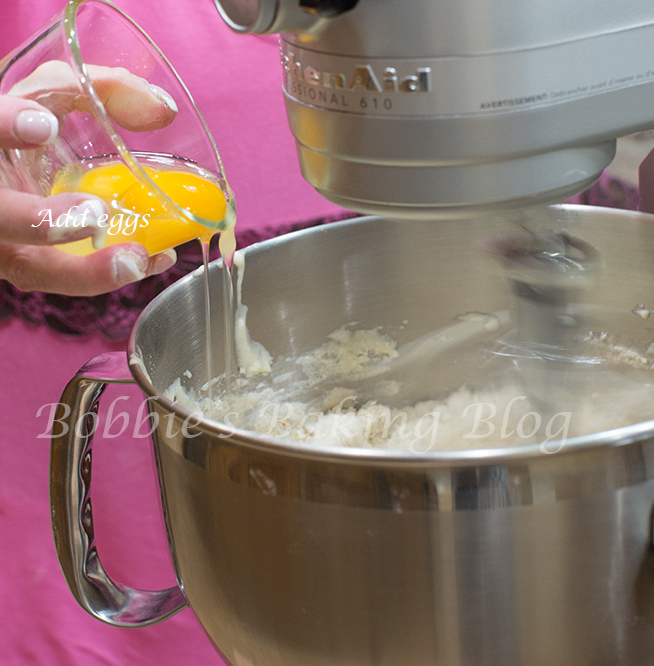 Add the sponge, eggs, butter, and slowly pour the water into the bowl. 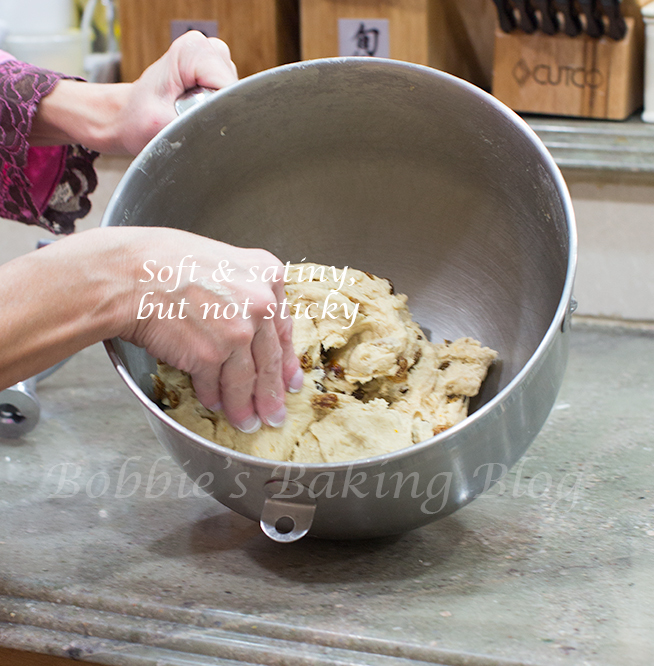 You are looking for a soft, but not sticky dough to form. 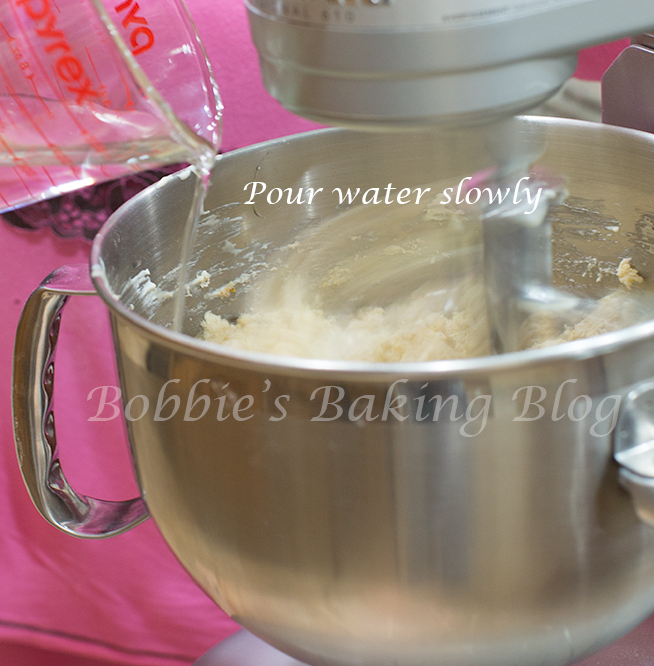 Once you have achieved a soft, but not sticky dough, about 1 1/2 to minutes, stop the mixer, cover with plastic wrap, and allow the dough to rest for 10 minutes. 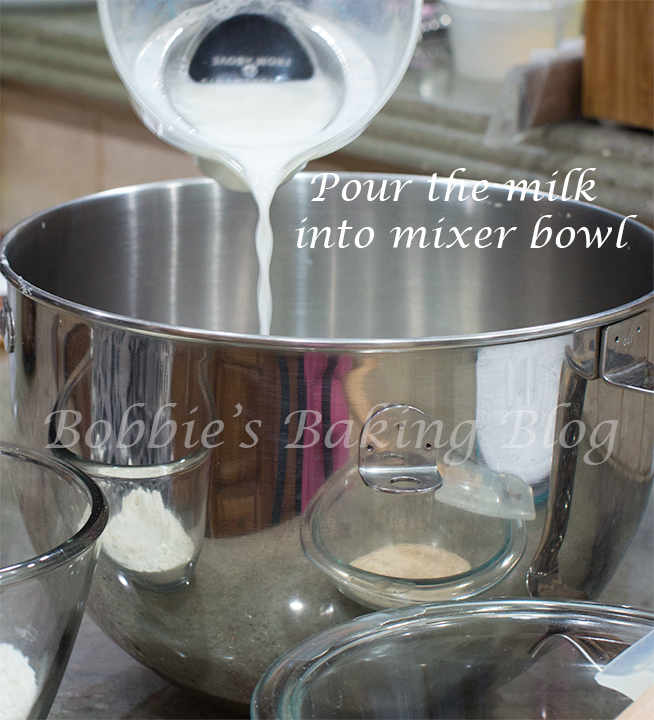 Place the bowl with the dough, after 10 minutes, back on the mixer. 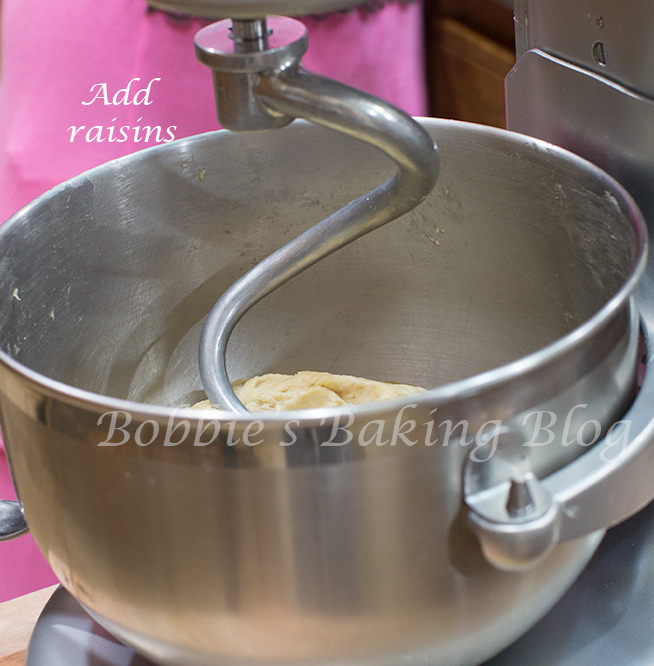 Switch the paddle attachment to the hook attachment, on low speed, add the raisins. Continue to knead the dough until the dough appears to have a satiny look, is still soft, but not sticky (about 3 1/2 to 4 1/2 minutes). 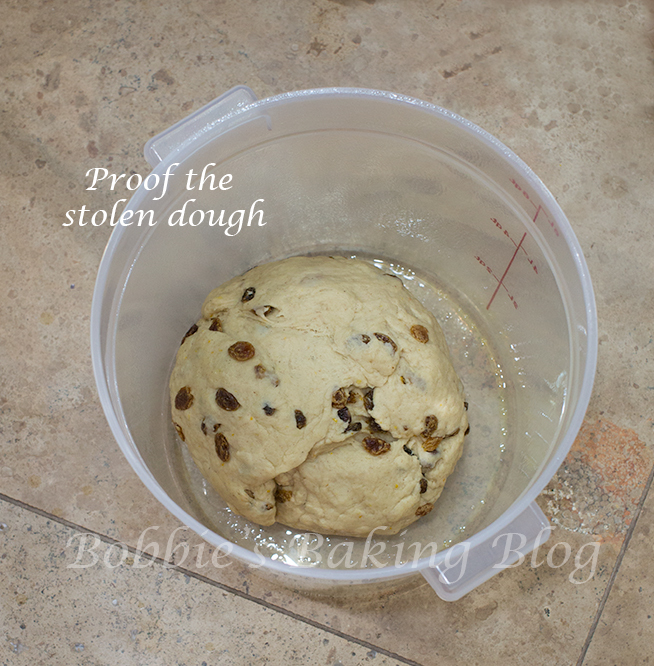 Place the dough in the prepare dough bucket and proof at room temperature for 45 minutes. 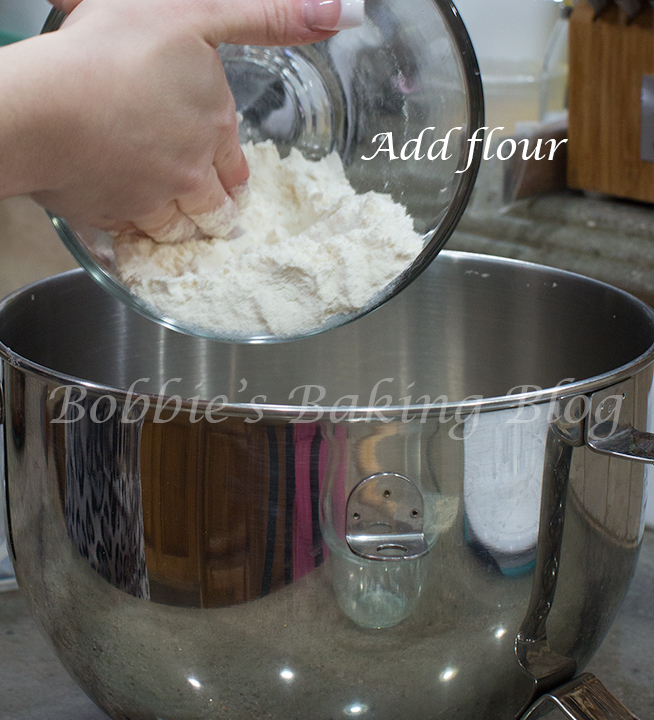 Gently deflate the dough, place your hands under the dough and fold the dough back on itself. 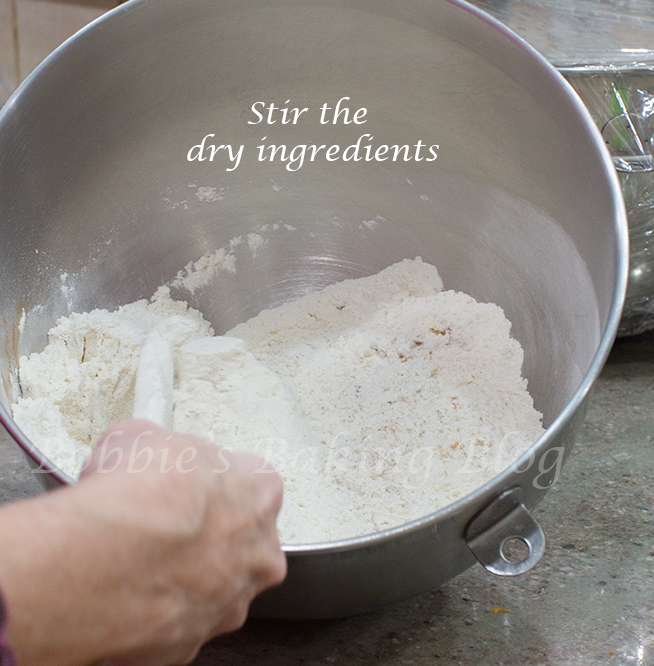 Close the dough bucket (or cover the bowl), and place in the refrigerator overnight. 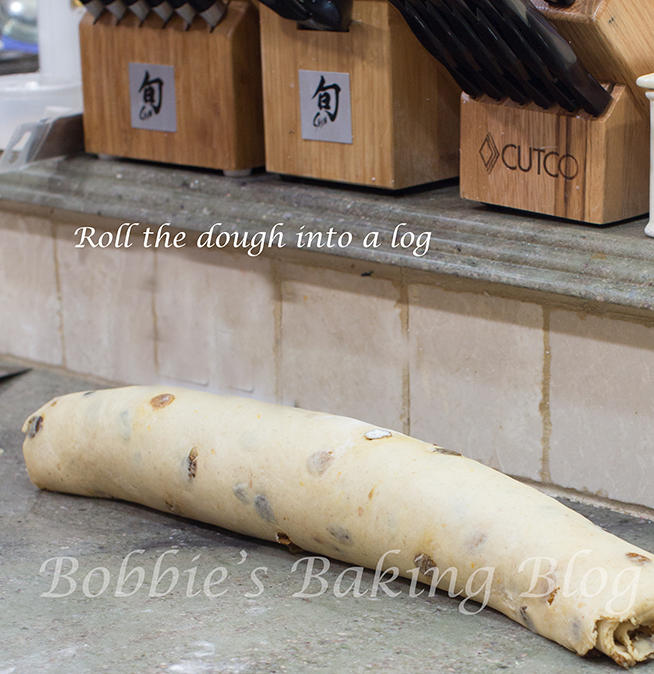 Once the dough is ready, sprinkle the counter with flour and roll the dough into a 40cm x 60cm/ 16 x 24-inch rectangle. 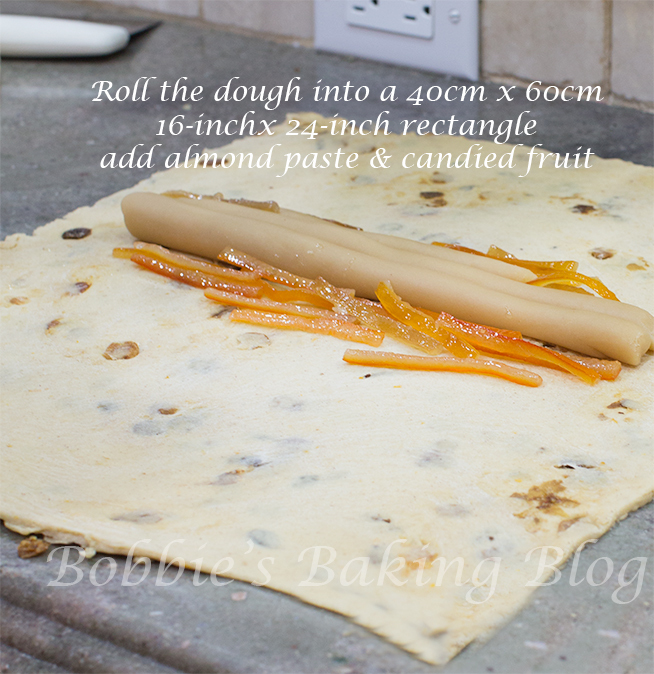 Place the fruit and almond paste in the center of the rectangle. 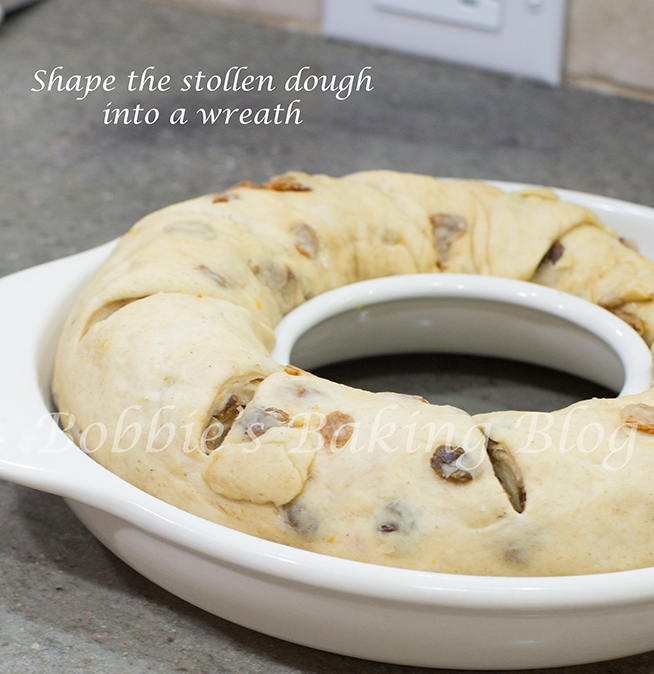 Roll the dough tight, and shape into a circle (or wreath shape), place the dough on a parchment paper lined jelly roll pan. Proof the dough for 1 to 2 hours or until the dough has doubled in size. 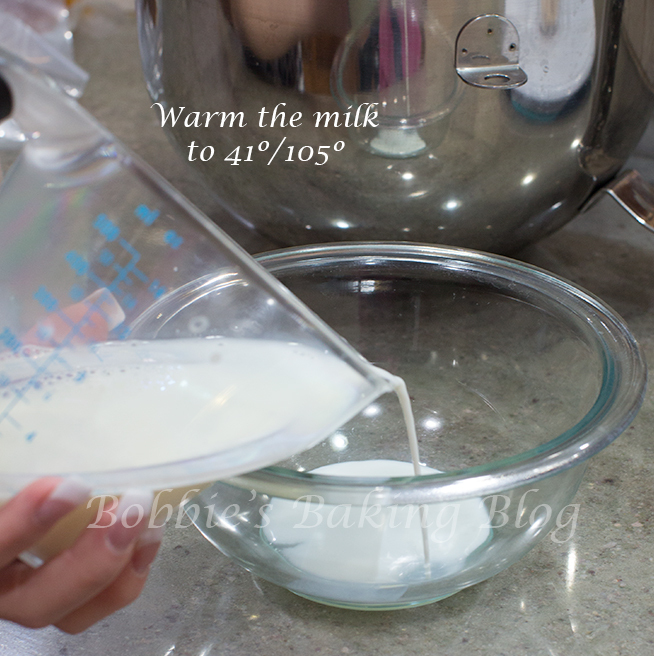 Preheat your oven to 180ºC/ 350ºF. Bake the stollen on the parchment paper lined pan for 22 minutes, turn the dough around and continue to bake for about 40 minutes. 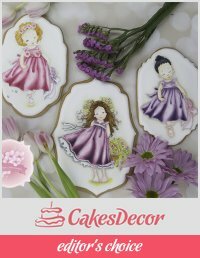 The bread should be a dark mahogany color, sound hollow when thumped with the handle of a wooden spoon, and register a 375ºC/190ºF. 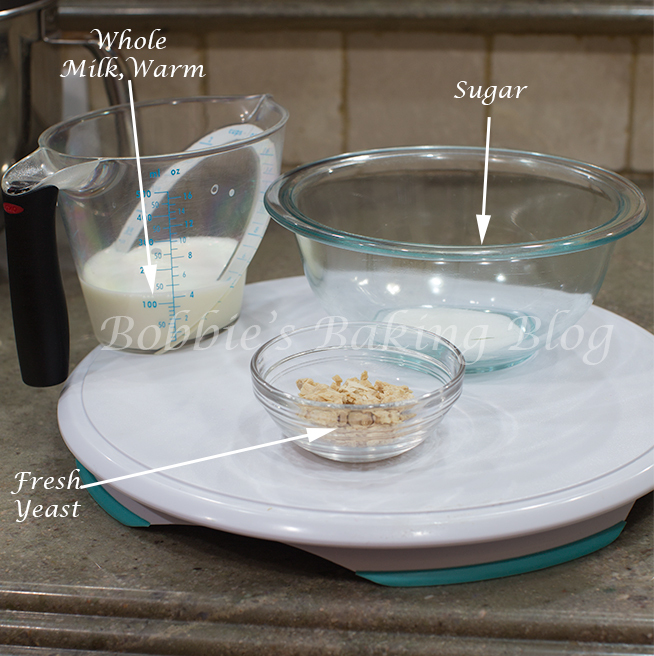 Remove from the oven, and transfer the bread to a cooling rack. 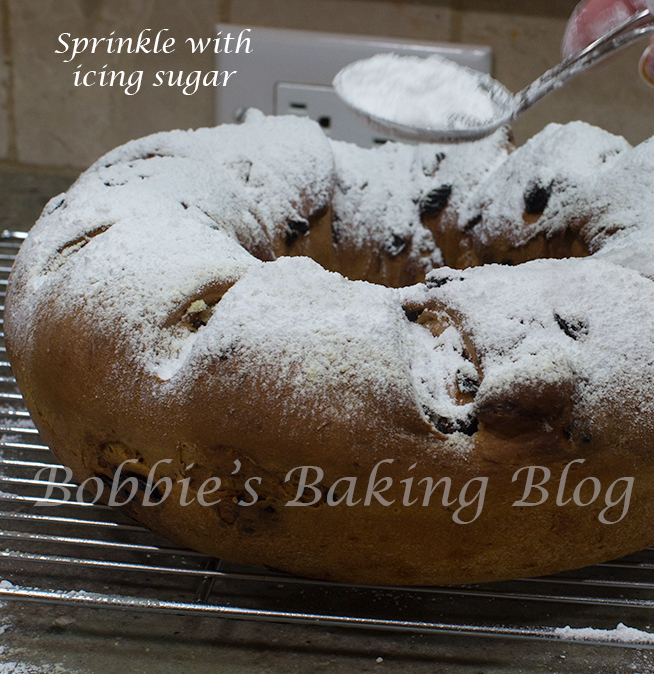 Brush the top with safflower oil and sprinkle twice around the stollen with a heavy coat of icing sugar. 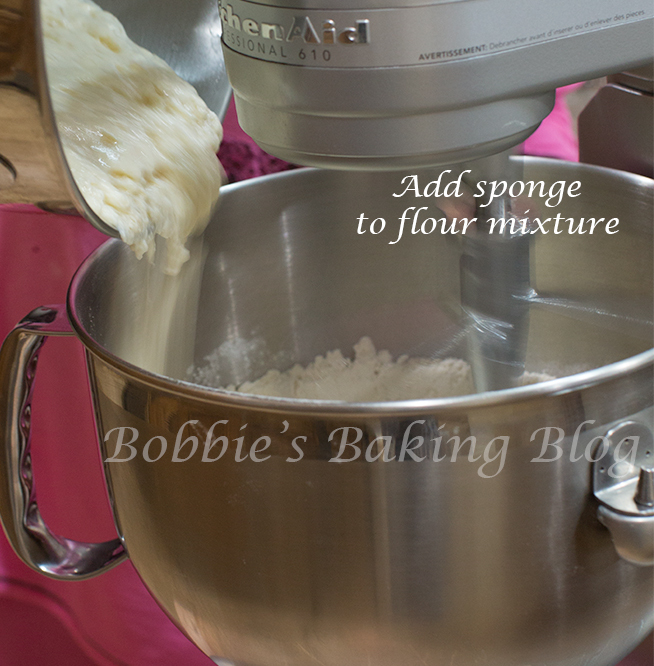 The icing sugar keeps the bread fresh, store in a cake carrier or a large plastic bag. 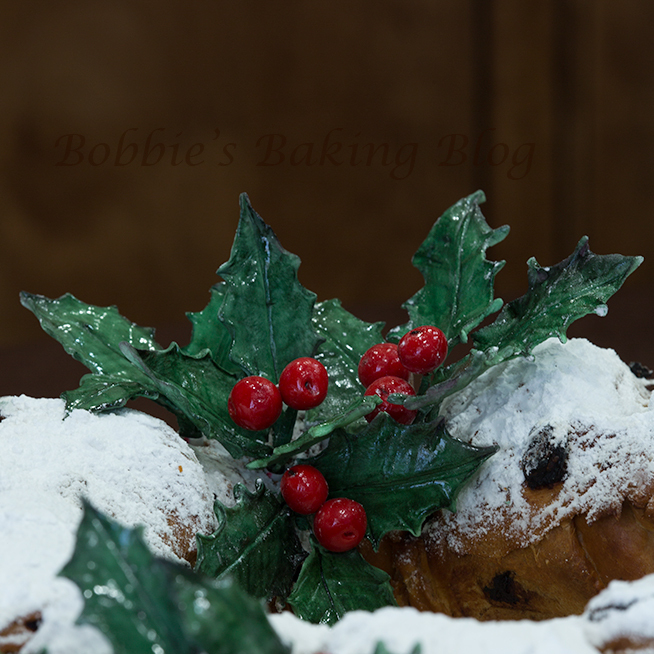 Decorate with gumpaste holly leaves and berries. 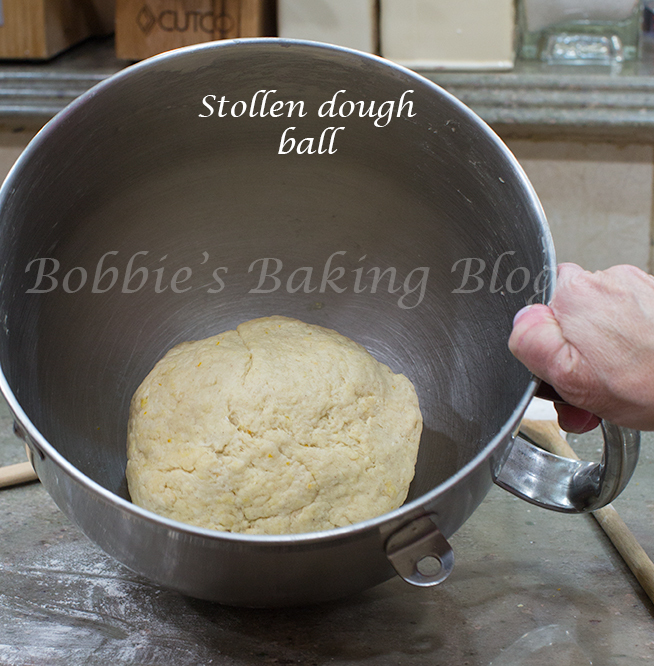 Stollens are a wonderful bread/cake to bake as a family; there is something for everyone to do! The taste will mesmerize you! I was scrolling through Pinterest and telling myself that I should look for a stollen recipe. 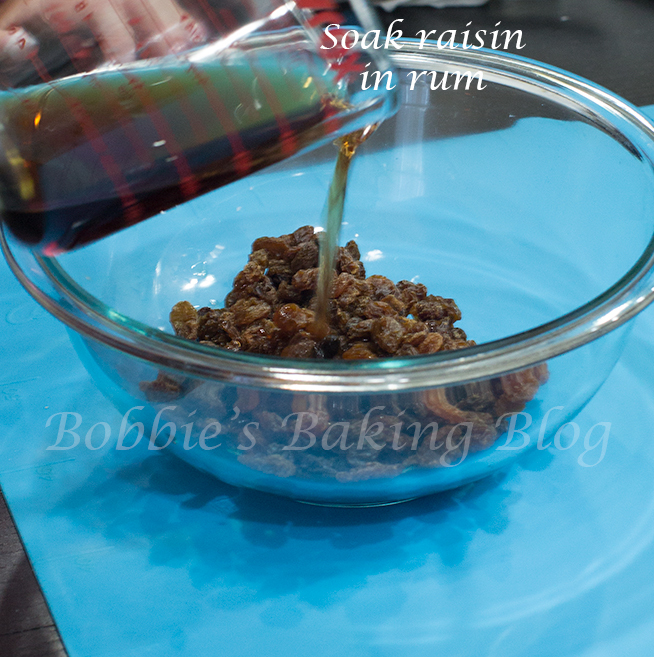 My grandfather always sent one at Christmas and then my aunt took over the tradition, but when she died we no longer received our holiday treat and we did not have the recipe! A friend found a German bakery about 2 hours away and brought a stollen for me, but, while it was very good, it had chunks of nuts which I do not like. And then! 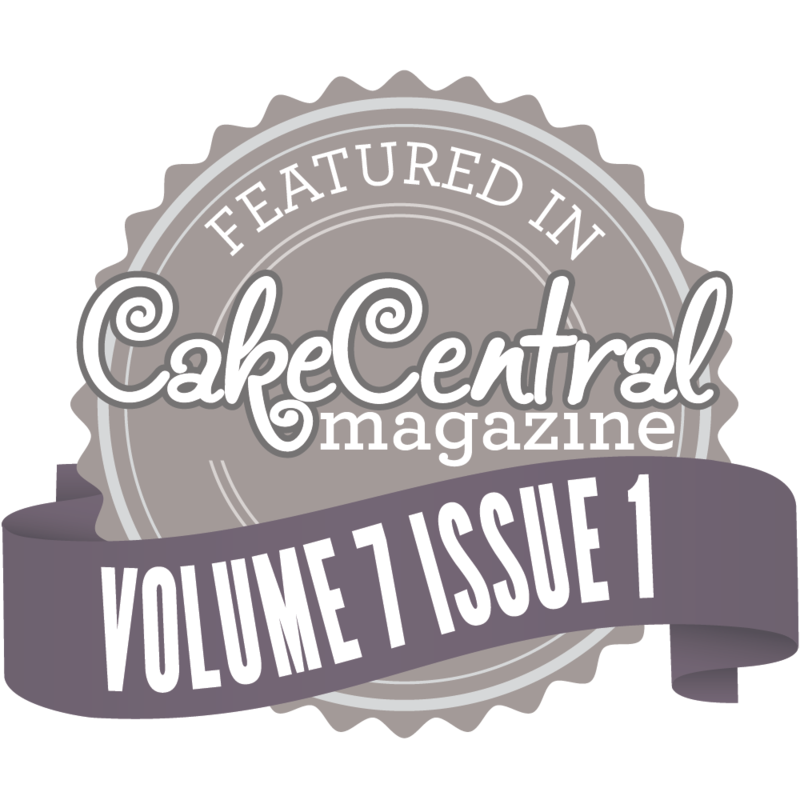 A little Christmas gift … suddenly there was your recipe … with almond paste … just like Opa’s! Thank you! I can’t wait to try it! 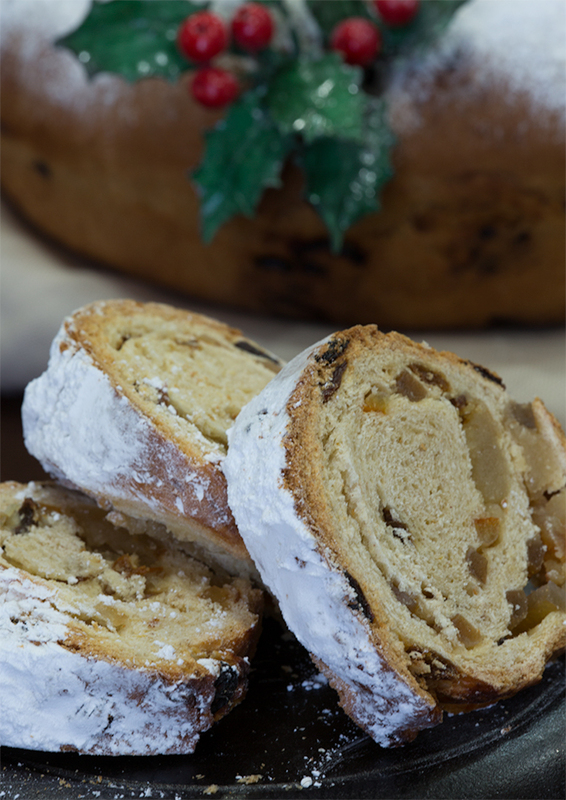 Cecelia, I hope you enjoy the Stollen, it warms my heart that I was a part of your little Christmas gift.